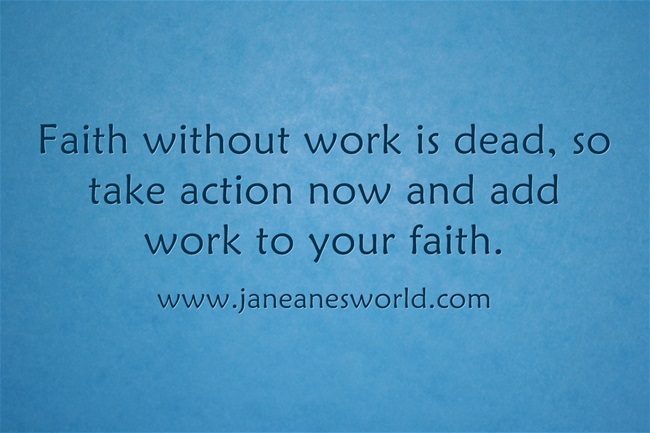 Having faith is not enough if you are not taking action. You can’t claim you have faith, yet sit at home, fold your arms and expect things to change. That is like saying you have faith you’ll be in England for the summer, yet you fail to show up at the airport for your flight. Faith is nothing without action so you must learn to put your faith into action. Let your faith guide your next step. Yes, sometimes, faith is shooting at different targets with the hope that one of them will hit the mark. Sometimes faith is shooting consistently at one target with the hope that things will turn around. Whatever it is you’re doing in faith, keep doing it. Keep pushing, keep moving. Keep working hard; keep doing what you ought to do. It may seem too little to become a big break; it might even seem like nothing will ever happen in your favor. Remember this: success is the sum of small efforts repeated day in, day out. Put your faith into action with your small or big efforts. Believe you will win, work like you will win, act like you have won. Your faith in action is power! And when you’re on the move with that power, God will meet you at the point of your needs. Glad to hear that Lapaka!